After lifting the grayed, warped plank of wood on the side of nest box number 16, Cornell scientist David Winkler gently sweeps up a handful of seven-day-old Tree Swallows and drops them into a cotton pouch. He sits down in the ankle-high grass, surrounded by summer thistle. Winkler, also known as “Wink,” calls himself a farmer. His crop is the Tachycinetagenus of swallows. His yield is scientific understanding. With more than 400 nest boxes, 60 percent of which are occupied, he has created a home for Tree Swallows beside some experimental ponds owned by Cornell University in Ithaca, New York. In return, the swallows provide Wink with an ideal outdoor laboratory. Mutualism at its finest. Wink has been working with swallows for more than two decades, during which time he has authored, co-authored, and advised on more than two dozen papers specifically on swallows. He has studied parental investment and defense, nest construction, breeding, and natal dispersal. His students have banded, observed, recorded, and taken blood samples from swallows. He has brought others into his world. And his most recent passion connects colleagues across the Americas to study wide-scale swallow distribution and life-history characteristics within and between species. Tree Swallows are perfect birds to study. These cavity dwellers do not excavate their own cavities, so they readily nest in human-made boxes. And, according to Wink, once the birds settle, they tend to hold on through whatever hardships may arise. After unzipping his stuffed, forest-green pack, Wink takes out the appropriate instruments—a digital ruler, pair of pliers, and scale. He patiently removes the four young swallows from the bag, one at a time. Holding the blue-and-pink bodies between his flattened fingers and large thumb, he stretches one tooth-pick-thin leg and bands it, announcing the number. The delicate fledglings still sit submissively. Wink measures the length of the head and beak and then the wing. He weighs each young bird by placing it into a manila envelope affixed to the scale. Then he puts the swallows into a new cotton sack, pulling the shoelace cord snug. A male and female Tree Swallow rested on a low power line as Wink approached the Ithaca field site in his brown Volvo. Thirteen more sat 20 feet away, while others foraged overhead, catching insects in midair as the sun glistened against their iridescent backs. The species breeds throughout Canada and south to California, New Mexico, and Georgia, wintering as far south as Panama. They like Ithaca well enough; the more nest boxes Wink builds, the more swallows he attracts. And the 91 ponds and two reservoirs on the land north of the Ithaca Tompkins Regional Airport, originally designed for aquatic plant growth and marsh ecology studies, satisfy the swallows’ desire to be near water, where the bug catching is good. Wink set up 10 nest boxes at Cornell in 1984, while he was working as a postdoc at Oxford University. He likens swallows to his Ph.D. subjects, gulls and shorebirds—they have big populations, are easy to study, and have undefined foraging territories. By the following spring, he had 100 more nest boxes. And when Wink began his first field season in 1986, he also set his other life’s passion in motion. He began recruiting other swallow enthusiasts. “When you start banding birds, you can’t help but wonder: where do these birds go?” Wink said. A man in Cortland, New York, started catching birds Wink had banded, so Wink and his colleagues at the Lab of Ornithology decided to start a swallow and bluebird dispersal study at the state level. With the help of about 60 volunteers, they were able to extend the study area to sites within 400 kilometers of the Ithaca site and continue the project for 11 years. The results, published in an article titled “Breeding Dispersal and Philopatry in Tree Swallows” (The Condor, November 2004), revealed the species’ tendency to stay around their home area. Of the 356 males and 1,459 females captured in more than one breeding year, only 4 and 14 percent respectively dispersed to new breeding sites. Wink said the dispersal studies represent some of his most important research. The movement of the birds from their natal and breeding sites to new sites is not fully understood, and scientists who want to understand ecology, evolution, survival rates, biogeography, population genetics, and life-history traits must first understand dispersal. While growing his network, Wink also focused on the birds he saw every day, monitoring them and collecting as much information as possible. His studies often focus on life-history traits, which are those that directly affect survival or reproduction. With these local birds, he has helped move the understanding of swallow ecology forward. Working with colleague Paul Allen, Wink found that the clutch size is smaller when birds breed later in the season. In a paper titled “The Seasonal Decline in Tree Swallow Clutch Size: Physiological Constraint or Strategic Adjustment?” (Ecology, 1996), Winkler and Allen investigated whether environmental conditions or female quality, including body mass, breast muscle thickness, fat stores, and body size, explain the relationship. They found that the egg-laying date and age predict the size of the clutch of eggs, suggesting that the females may adjust the size of their clutch based on declining food supply and the prospects for offspring survival. Wink would like to replicate similar studies across the Western Hemisphere in an effort to understand the role environment plays. With so many projects behind him and a lifetime of ideas in front of him, Wink is forever attached to Tree Swallows. He is also good at attracting other people who are interested in studying these slender fliers, and he gratefully opens his arms and nest boxes to them. Wink’s home base is a trailer just off Warren Road. A professor of ecology and evolutionary biology at Cornell, he oversees the work of about half a dozen undergraduate and an equal number of graduate students each year. He encourages the undergraduates to take advantage of the swallows in Ithaca. Wink says a lot of scientific literature on swallows already exists, but there are still unanswered questions. As a sophomore at Cornell University, Kevin Ringelman sent letters to professors because he wanted to get involved in research. Wink emailed him back right away and later suggested that Ringelman study feather fighting. Tree Swallows use the feathers of other bird species to line their nests for warmth. Wink found that an increase in feathers in the nest box leads to earlier fledging. But swallows have to get the feathers, and sometimes three or four birds will get into a loud and long-lasting chase over a single feather. It’s a tough competition. He tried to induce stress by taking all of the feathers out of some of his swallows’ nest boxes. He predicted that birds with stolen feathers would be more aggressive and win more fights. Also unsure why some birds would drop the feathers, he cut away the downy parts. Maybe some feathers were not suitable, or the swallows just couldn’t carry them. Launching feathers into the air with a blowgun created from a PVC pipe, Ringelman watched. When a bird grabbed a feather, it would swoop, spiral, and climb, attracting attention. Frequently when the chase died down, the swallow with the feather would drop it and swing around to grab it again—“as if it was trying to bring the fight back,” Ringelman said. Though the stress he induced did not seem to have any effect on bird behavior, he did find that female birds are more determined to bring the feathers back to the nest. Wink said he tries to create an environment that encourages students to ask questions. And with more than a decade of continuous work at the site, studies often build on each other. Each observation leads to fresh hypotheses, and Wink is committed to collecting loads of data. He monitors prey availability at the site, running a 12-meter bug sucker from 7:00 A.M. to 6:00 P.M. every day from April 1 until the last fledging. A tall white tube held up with wires, it collects bugs by sucking air in the top at about 45 miles per hour and then shooting it out the bottom after the bugs land in an ethanol bath. “A sitting bug is not a bug to swallows,” Wink said. Wink is working to compile quantitative results, and he said that swallows do not start breeding until the insect sample reaches a certain size. During her undergraduate work at Cornell, Melissa Bowlin took this information and Wink’s earlier work with clutch size and planned her own study.She wanted to investigate variation in flight performance and any correlation it may have with the egg-laying date. Better fliers, she thought, might be able to get more insects and more nutrition, allowing them to begin laying eggs earlier in the season than poorer fliers. So Bowlin and Wink built a flight tunnel with a series of wooden panels at the Ithaca site. The bird sits in a small box with a false bottom at the closed end of the tunnel. When the bottom is pulled out, the bird either falls or flies toward an opening at the other end. A camera records its actions, observing acceleration and maneuverability. Bowlin found a positive relationship between clutch-initiation date and mean wing-beat frequency. Birds that laid eggs earlier accelerated faster when they were tested on the same calendar date. Her results, which were published in an article titled “Natural Variation in Flight Performance is Related to Timing of Breeding in Tree Swallows in New York” (The Auk, 2004), were the first to show that a nonheritable variation in phenotype is linked to a major component in fitness. Bowlin said Wink made it possible for her to have a published scientific article while she was still an undergraduate. Graduate projects are a bit different because the students have more freedom, and their studies do not always involve swallows. But the ones that do often look at the Tachycineta genus throughout a much greater geographic range, further fueling Wink’s desire to connect swallow-studying scientists across the hemisphere. Dan Ardia worked with Wink as a graduate student at Cornell. Ardia said scientists can ask a lot of questions of swallows that they can’t ask of other species. 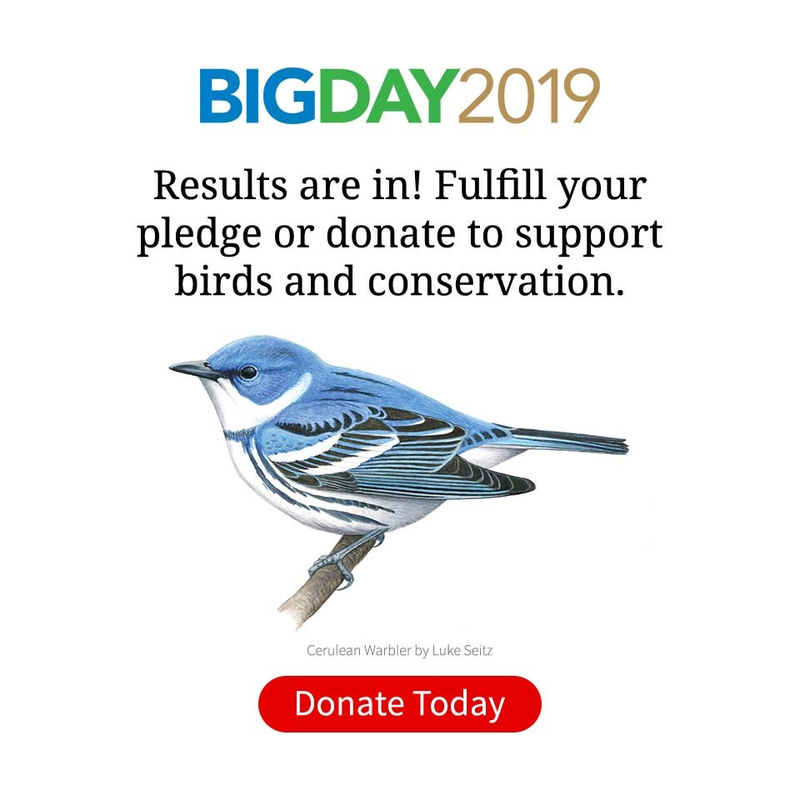 “I wanted to look at geographic variation, and Tree Swallows were an excellent study species because they are widespread,” Ardia said. He investigated parental investment in chicks by monitoring birds in Ithaca as well as at nest boxes in Tennessee and Alaska. He said tropical species tend to invest less in their chicks than temperate species, presumably because they have higher survival rates. Their best strategy is not to give their all in just one go. “I was curious whether more southerly Tree Swallows would show differences in parental investment, and they do,” Ardia said. In a paper titled “Tree Swallows Trade Off Immune Function and Reproductive Effort Differently Across Their Range” (Ecology, 2005), Ardia revealed that in Alaska, where adult return rates are low, breeding females increase their reproductive investment to maintain the quality of their offspring. But in Tennessee, where return rates are high, breeding females invest less. As a result, Tennessee offspring are of lower quality. Ardia’s study was also one of the first to report geographic differences in immune function related to this different investment. As Wink’s reputation (and the Cornell Lab of Ornithology’s) grow, so do the depth and breadth of the work that students can accomplish. Valentina Ferretti currently works with Wink. A Ph.D. student, she came to Cornell from Argentina. She is using the variation in the Tachycineta genus to study mating systems and parental care as they relate to extra-pair paternity. Though these birds are socially monogamous, females can store sperm. And DNA fingerprinting shows that mating outside the partnership does occur at high rates. “The swallows have a weird mating system,” Ferretti said. She is investigating four species at four locations: Tree Swallows in Ithaca, Mangrove Swallows in Belize, Violet-Green Swallows in Oregon and California, and White-rumped Swallows in Argentina. Using DNA analysis, she will determine the extra-pair-paternity rate and then test five hypotheses to try to determine why the rates differ. So far, she can only see results for the first two species, but they do show variation. Tree Swallows engage in 80 percent extra-pair paternity, whereas for Mangrove Swallows it is only 23 percent. “It is a neat way of comparing different species that are breeding at different latitudes,” she said. So Wink’s students do more than create a constant stream of swallow studies at the Ithaca site. Wink has used his connections with students and colleagues to develop a network of swallow tenders and similar monitoring sites across the Western Hemisphere. He calls the project Golondrinas de las Americas, which translates as Swallows of the Americas. As part of their studies, both Ardia and Ferretti set up boxes away from Ithaca. And Wink hopes the comparative studies born from a widespread collaboration will shed light on life-history characteristics, and, possibly, the avian response to climate change. Though environments across the Americas differ, swallows have similar physiology and behavior. 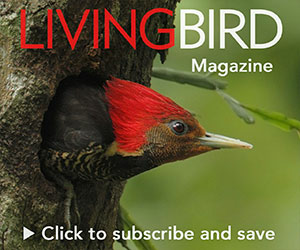 So when biologists at 31 sites from Alaska to Argentina set up nest boxes, band birds, and collect data on the swallows and their relatives, they can also begin to understand differences in nesting and breeding biology between birds in tropical, temperate, and even polar ecosystems. Ferretti has already taken advantage of the network. And Ardia’s studies on survival rates and parental investment could be extended to all of the Americas. Sites in Saskatchewan, Wisconsin, New York, Iowa, Massachusetts, Colorado, California, Belize, Panama, and Argentina can share data on prey availability, egg-laying date, clutch size, and fledging success. Though the sites are currently too spread out to meaningfully study migration, Wink said one day he hopes it will be possible. Martín Quiroga set up the first Golondrinas boxes in Argentina in 2000. After meeting Wink through the Internet and visiting Ithaca three times, he wanted to get involved. With help from students, he now runs the Santa Fe site in Argentina where he studies the White-rumped Swallow. Wink is also following his farming intuition and enlisting others in swallow conservation. If he succeeds in collecting consistent data from the sites for 10 years, then he can look at the impact of local activities such as deforestation and development and can investigate global climate change. Eduardo Iñigo-Elias, project coordinator for Neotropical bird conservation at the Lab of Ornithology, said colleagues are requesting funding to work with local residents to recover habitats of three endangered swallow species by introducing nest boxes. The species include the Golden Swallow of Hispaniola, the Bahama Swallow, and the Tumbes Swallow. “These are some of the most endangered swallows in the world,” Iñigo-Elias said. Swallows are sensitive to day-to-day temperature changes and have shown a 10-day advance in their egg-laying date in the past 30 years, according to a 2002 study Wink published with Peter Dunn in the Proceedings of the National Academy of Sciences titled “Predicting the Effects of Climate Change on Avian Life-history Traits.” Swallows offer warning signals that other species don’t. Wink said there is promise and potential, but the extension into Latin America is difficult. Money and people are harder to find and harder to keep. Attitudes are also different. Central America especially, he said, lacks historical conservation figures like Aldo Leopold or Rachel Carson and like-minded individuals with a deep curiosity and appreciation for nature. Most conservation is motivated from outside Latin America. Quiroga said that even in Argentina, conservation is a fancy word. But scientists are trying to redirect their research. “This field work is key to understanding organisms where they live and is important for conservation,” he said. Wink experiences the challenges firsthand. He tried to set up a site in Venezuela with the help of a graduate student. “We put up the nest boxes, and they all disappeared,” Wink said. The local people were borrowing the nest boxes to get parakeets to nest in their own backyards. Though he could not set up a permanent site in Venezuela, Wink was more successful in Belize, where he worked closely with a nongovernmental organization. But when the money dried up, progress slowed. And after setting up a bug sucker in the country, he found out there was not enough electrical power to keep it running—a problem that was fixed this past spring. Wink travels to Belize to band the birds. He said the site survives moment to moment. He wants to teach people in Central and South America that someone can make a living being a biologist. Countries like Argentina have the intellectual horsepower and universities to support these efforts. Professors with a stable crew of eager students create a solid base. Unfortunately, Wink said, the word “volunteer” doesn’t exist in Mexico or Central America. Though he cannot change economics or politics, Wink does want to create awareness. Wink knows that to keep the project living on after him, he will need to prove to people at other sites that the project is worthwhile and belongs to them. Wink said they love the project, but they don’t understand it and can’t afford it. He wants to see homegrown biologists become conservationists. The Ithaca site serves as a launching point for Golondrinas, but Golondrinas in turn influences daily business in Ithaca. Despite individual and group projects, everyone takes breaks to band more birds. One day in late June, five students headed out with a canoe, kayak, and paddle boat to band birds in the boxes over one of the property’s reservoirs. The extra bandings and boxes will boost Wink’s sample size and aquatic expertise for other Golondrinas sites. He wants to study 10-year-old birds, so if he loses half his swallows each year, he needs to begin with a lot of birds. Wink is building the swallow network from the ground up, but he is also holding together any cracking pieces as he goes. He recently traveled to Argentina to teach a course in Buenos Aires. While he was there, he worked with a site at the southern end of the Andes Mountains and also helped set up another site beside a beautiful waterfall in northern Argentina where White-winged Swallows live. When he travels, he always tries to recruit more “Golondrinistas,” preaching, rallying the troops, and solving problems “wherever the brushfire is most intense.” Meanwhile, it was a busy year in Ithaca. “In the 2006 season,” Wink said, “We were in the midst of local chaos.” After a cold June, the birds renested. Normally, they renest after losing eggs, but not after losing chicks. Ringelman said that the temperature dropped once and about 60 percent of the birds renested. Another cold weekend in June brought more trouble. Many had chicks and many of them died. But still, some swallows renested. In his 22 years of research at the site, that was the weirdest Wink had seen. And he worked with his undergraduates to write a paper about the “funny” behavior. In addition to travel and this paper, Wink was renewing a grant and overseeing field-site work while his right-hand man spent time with his newborn baby. In short, for Wink, it is all swallows all of the time. But his business is a pleasure. His office in the bird collection at the Cornell University Museum of Vertebrates is oddly shaped, a triangle with three acute angles. Windows cover one long side and bookshelves line the other. It makes for a narrow space. Wink’s desk sits along the window littered with papers, books, and birding paraphernalia. He said sometimes he hears and sees the swallows as he sits there. Wink wants to encourage appreciation across the Americas, and at the same time continue to expand swallow studies. He believes partnerships like Golondrinas are crucial if conservation is to be more than just a colonial endeavor. After all, for half of the year the birds live in Central and South America. Activity there affects swallows here. As soon as all of the current Golondrinas sites reach 100 or more nest boxes, with a bug sucker at half of them, Wink said he will feel as though he has arrived. Golondrinas is not there yet, but the first scientific papers with collective research are moving forward.